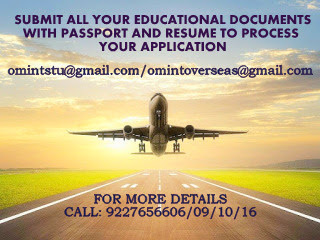 OM VISA Consultancy - Global Immigration, Students, Visitor, Business & Work VISA Consultants: Study at Wintec Waikato Institute of Technology, Enroll With "OM INTERNATIONAL" For February Intake. Study at Wintec Waikato Institute of Technology, Enroll With "OM INTERNATIONAL" For February Intake. We are inviting applications for Feb 2018 intake at Wintec Waikato Institute of Technology, New Zealand. It is based on Hamilton City- NZ’s fastest growing urban areas with excellent work opportunities and PR possibilities. Wintec has expert Staff, Affordable Fees and has Safe & Friendly Location. It helps to find work and provides accommodation and airport pickup facility.